Compiled from The Beautiful Business Newsletters and Compendiums. This is the first list of 50 Beautiful Businesses. These businesses inspire a different way of looking at the world. We celebrate people who explore beauty beyond the superficial and strive to deliver truth, meaning and authenticity through beautiful products, experiences and solutions: Things beautifully made with the latest technology or uniquely handcrafted, buildings that are beautiful in their conception and construction, food grown and cooked which is restorative and sensual, beautiful culture that will nourish one’s soul…all, Living Beautifully. Páramo — is one of the few PFC-free outdoor brands currently on the market. 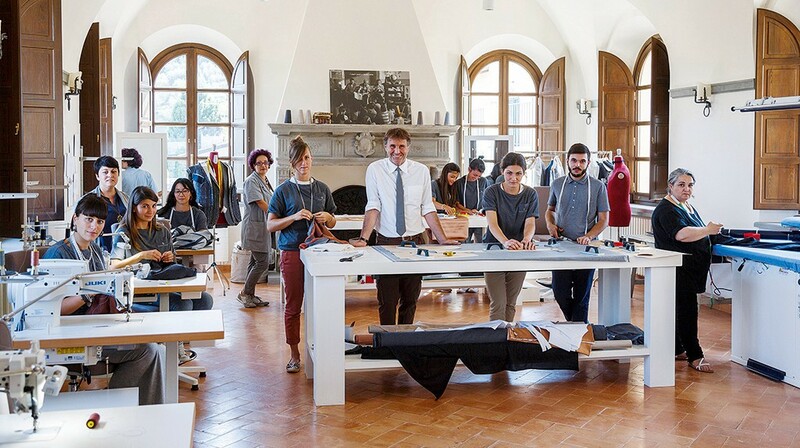 Páramo uses an alternative fabric technology, and the company ensures all its garments are fully recyclable. PFCs, or perfluorinated compounds, are a staple in many fabrics used for outdoor clothing. They are popular with the industry’s big brands because they create a porous outer layer that allows impermeable, waterproof materials to breathe, while making surfaces repel water and oil. Kano — say, ‘anyone can make’. I believe that ‘making’ is important in defining who we are. We are all creative, we all have the right to make. Kano says, the modern world is filled with billions of machines. But, only 1% of 1% of us can open them up and change them. Kano creates computers you make and code yourself. Simple, fun, and for everyone. Volvo — breaking the mould. One of the questions I am asked is can a business be scaleable, ethical and profitable. Are these not contradictions? 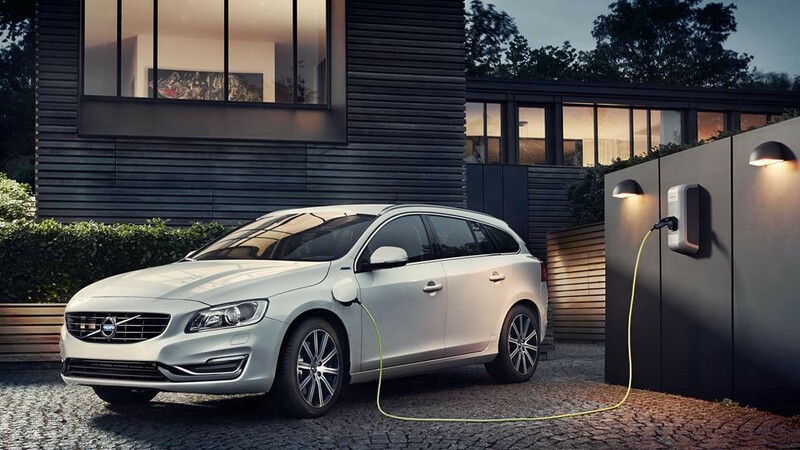 Volvo says all its cars will be electric from 2019. I was once asked by a CEO if beauty could be applied to any business. “Would you want to do it any other way I asked?” Volvo just made it faster. Naim Audio — is one of Britain’s best-kept secrets. It has been designing and producing handmade music systems from its base in this historic Wiltshire town since it was incorporated in 1973. It now exports to more than 45 countries and has more than 60 products in the range. The story of quality, in this instance the quality of sound, the quality of the experience and how that can change how you feel. Worldreader — every child deserves the right to knowledge, accessed through reading. 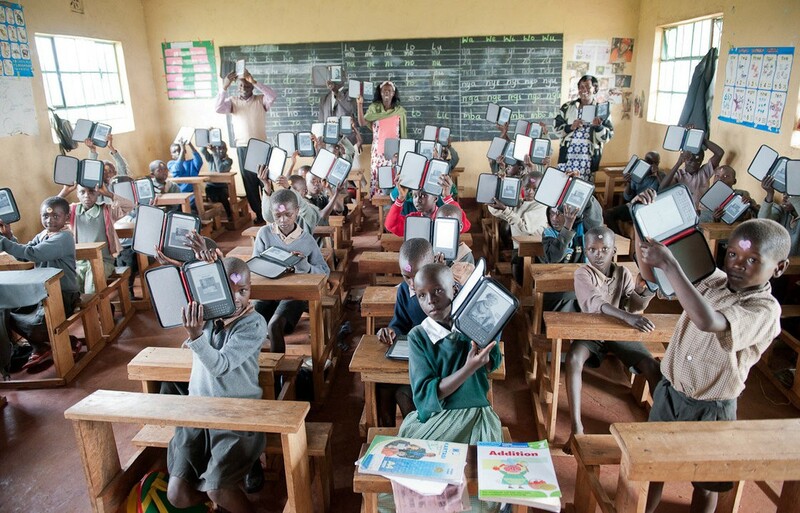 With low-cost technology, culturally-relevant digital books, and a network of corporate and nonprofit partners, Worldreader are helping millions of people read more and read better. All mobile enabled. Its a remarkable story that shows how technology can scale for good. Museum Bayeler — My friend Julien Robson a curator of contemporary art has been in more museums around the world than most. I asked him, in his opinion what was one of the most beautiful he had experienced? 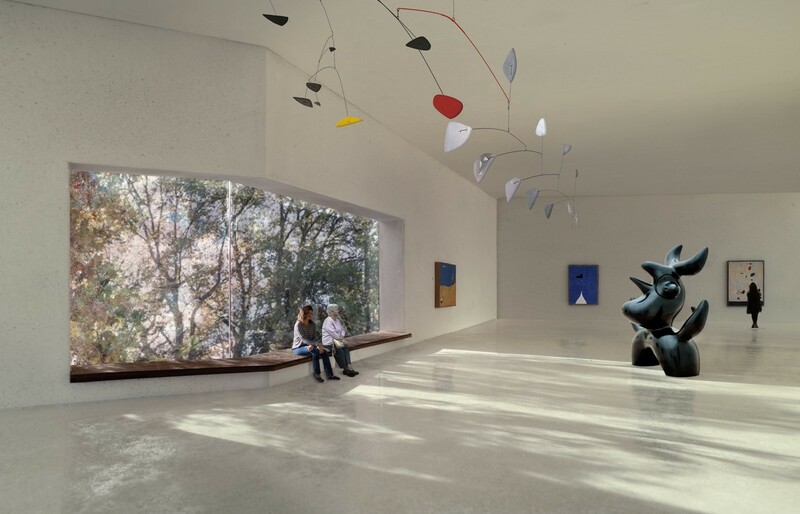 No hesitation, Museum Bayeler in Switzerland. Designed by Renzo Piano. The Santa Cruz Guitar Company — I have been playing guitar on and off since I was 12. This year my friend put a Santa Cruz Guitar in my hand. It was just magnificent, the tone, the depth of tone, its vibrancy, its playability. I fell in love, it was such a joyful experience. In this very watchable film, Richard Hoover, the founder takes us to his workshop, he talks about how they get ‘the tone’, he talks down to earth wise words. “we work for meaning”, he says. Beautiful things are prepared with love, its what lends them their immortality. Richard Hoover Among Giants | Santa Cruz Guitar Company from Cameron Ingalls on Vimeo. Waugh Thistleton — Pioneer in tall timber buildings.Waugh Thistleton Architects. 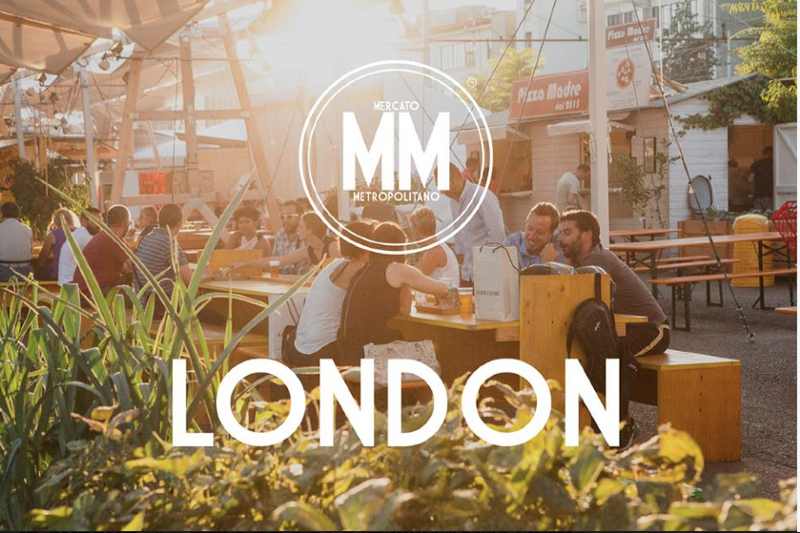 Based in Shoreditch they are a practice who are focused on designing and building sustainable dwellings, housing, homes. They are a world leader in engineered timber and a pioneer in the field of tall timber buildings. Glass Haus Living — Containers have changed our world. Goods made somewhere, far away and sent somewhere else, far away. They are an incredible invention in many ways. But now we are rethinking what does it mean to be a container. And we link that to this question how can we create affordable places to live at nominal cost, but we want quality. Beauty and utility as one and the same thing. Haeckels of Margate — The smell of baking bread, the smell of the sea, the smell of your lovers skin, What is your favourite most memorable smell? 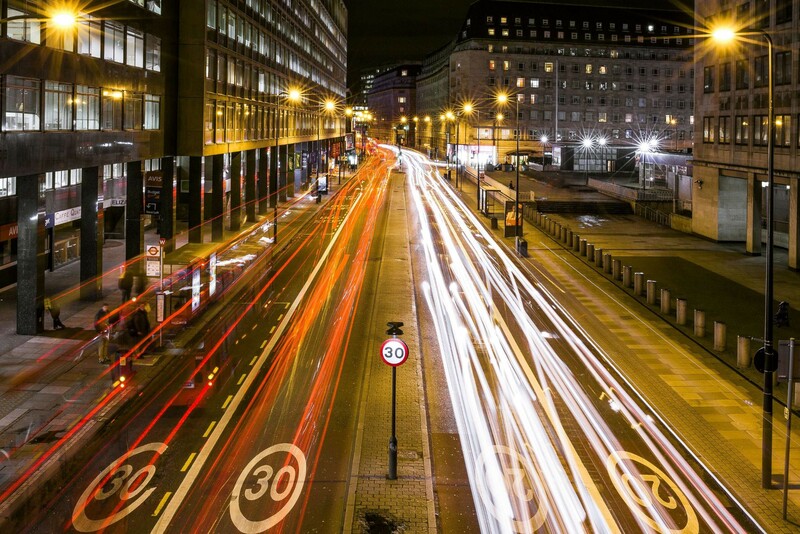 I can remember coming home from long trips abroad working in cities. To stand at night in my garden, pulling down the scents of the countryside into my lungs. Spring, summer, autumn, winter they all held magic. We forget how important smell is to us, as it carries so much information about the world we are in right then and we hold as memories years later. Haeckels Made of Margate Documentary from Jess Scott-Hunter on Vimeo. Wind generation — Wind generation. What is a beautiful solution to our energy needs? Surely something that is regenerative, like a design criteria. This is the, “how do we?” question. Can it scale to serve the needs of a few billion people? Bloomberg New Energy Finance has calculated that “the lifetime cost of wind and solar is less than the cost of building new fossil fuel plants. 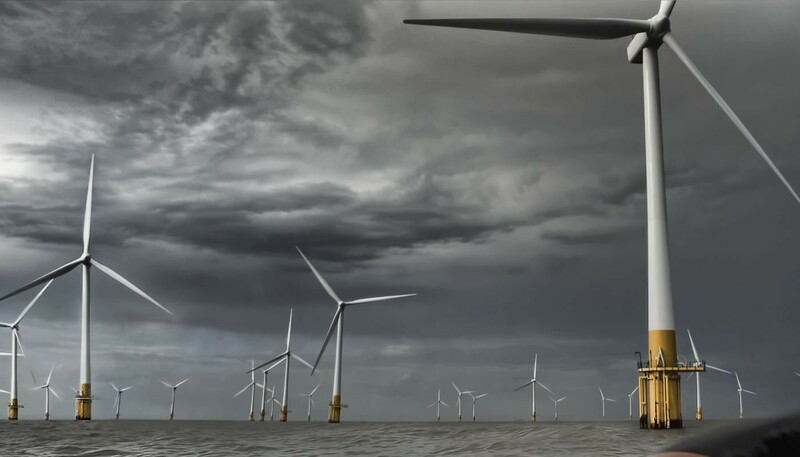 Bloomberg predicts that wind energy will be the lowest-cost energy globally by 2030. (This accounting does not include the cost of fossil fuels with respect to air quality, health, pollution damage to the environment). Ongoing cost reduction will soon make wind energy the least expensive source of installed electrical capacity, within a decade. A single sweep of their 269 foot blades generates enough energy for one households daily use. Relae — Chef Christian F. Puglisi opened restaurant Relae in 2010 on a rough, run-down stretch of one of Copenhagen’s most crime-ridden streets. His goal was simple: to serve impeccable, intelligent, sustainable, and plant-centric food of the highest quality — in a setting that was devoid of the pretention and frills of conventional high-end restaurant dining. Relae is the only Michelin Star restaurant in the world that is fully organic certified. Olafur Eliasson — is an artist, known for his extraordinary work with light. The Weather Project at the Tate Modern’s Turbine Hall perhaps one of his best known works. Olafur has a studio in Berlin where he employs a staff of 90. Everyday the staff sit down to eat freshly cooked vegetarian food. The kitchen is at the heart of the studio. 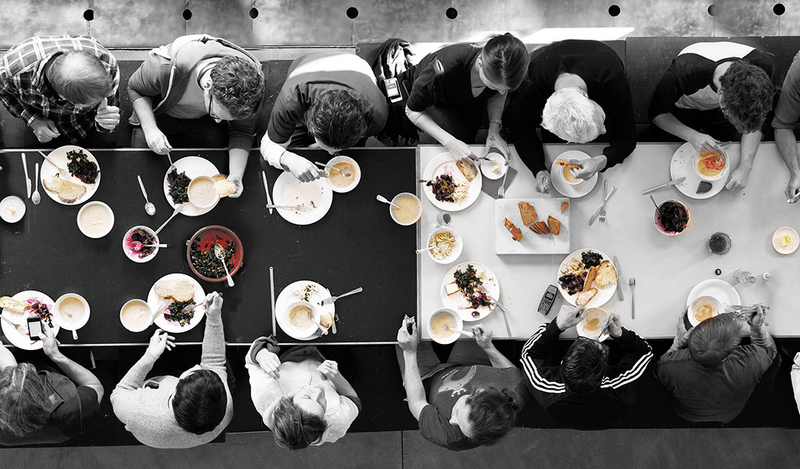 The daily communal lunch, Olafur believes, is about showing respect and hospitality to his staff, its about dignity. “Cooking,” says Olafur, is caring for others, it is a gesture of generosity and hospitality that functions as a social glue; it amplifies social relations and translates thoughts into food, into giving and sharing”. Gransfors Bruk — The best axes in the world. How do we create a different way of creating greater value — not only in the the product but in fact through the entire organisation, being more lightweight, sustainable, and innovative? Gransfor Bruk decided that quality of materials, product design, and purpose were the means to create a superior product and resilient business. Interface was not a good friend to the environment — extraction of natural resources the processes of manufacturing contributing to CO2, and pollution and the inability to recycle where everything ended up in landfill. Ray decided things had to change, he went to his institutional investors, and shared his vision of a company that would be fully sustainable by 2020 — the response, ‘great, but can it make money?’ Ray initiated the progamme and then sadly died, however, his vision and purpose thrived. What a legacy. Their goal is to source 100% recycled materials for its carpet tiles by 2020. In this film Geanne van Arkel, Head of Sustainable Development EMEA talks about not only sustainable business that can be profitable. But businesses that are regenerative, restorative and resilient. Purpose, and, design play a vital role in crafting a company that delivers on those goals. Jono Smart — Potter. The Shakers would take a common object and turn it into a work of uncommon grace. A contemporary exemplar of this mantra is Potter Jono Smart. Objects born not made. Blitz Motorcycles — Fred Jourden and his even hairier brother ­in ­arms Hugo create and hand­-build unique motorcycles. They build them using the frames, engines, petrol tanks and handlebars from machines of another time. 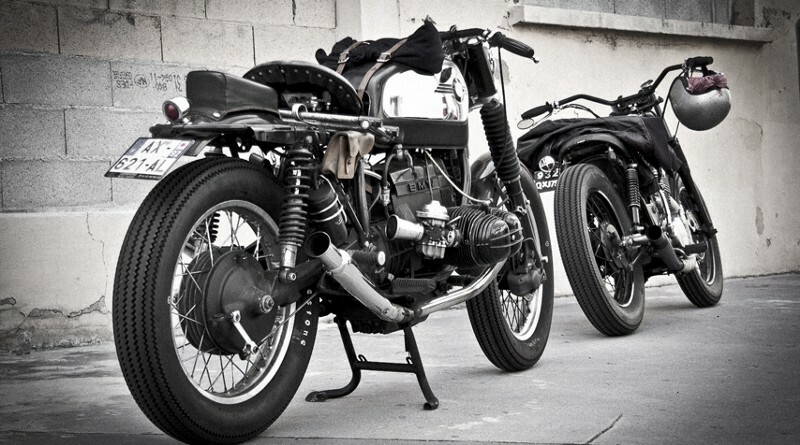 They call their company Blitz — as in giving new life, new energy, new purpose, to old motorcycles. What if you were really riding your dream machine that was hand built with loving care by Fred and Hugo. August.com — Locks, we all need them. Forgotten your keys, late on your way home, can’t find them. Such things do not make for beautiful experiences. 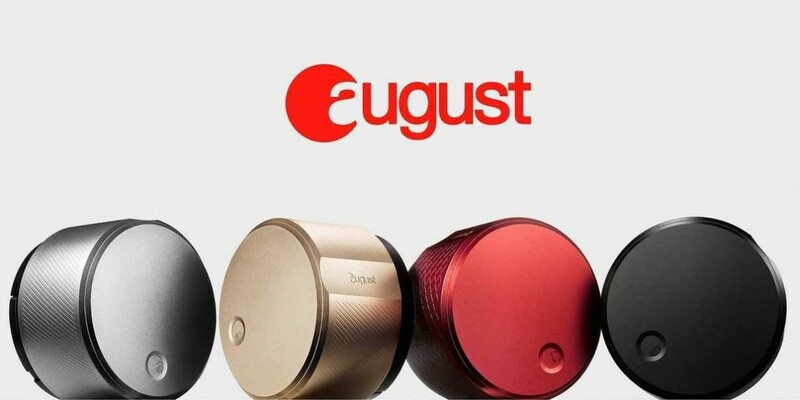 August have reinvented how we think about locks and security. Well engineered products, that have a beautiful aesthetic (they look nice), an elegant mobile interface combined with a clever business model. Xero — “beautiful accounting software”. These are Xero’s words not mine. Can you scale beauty? Its a question I am often asked. My answer — yes. Accounting is one of those things we all have to do. It can be as ugly as nits. Or, it could be beautiful. A beautifully designed business this one, taking the simple logic of taking one of life’s absolute truths taxes (not death) in this instance, then turning the process into a thing of uncommon grace. Life enabling, life simplifying, beautiful UX, beautiful businesses model. Conversations about Beauty – Rod Drury from Alan Moore on Vimeo. The Future Kept — An online store, selling small batch artisan-made goods. I admire the way they support makers and artists, as well as their ethos of ‘Buy less, buy better’, which resonates with me as I struggle with our throwaway consumer culture. It has become an almost daily ritual to visit their feed and leave feeling inspired and uplifted. 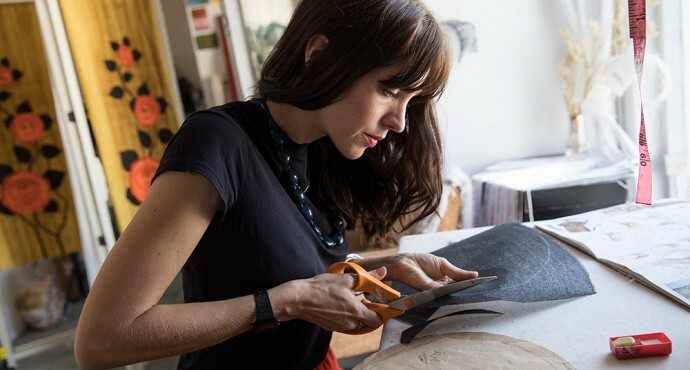 ISHKAR — Through a curated collection of pieces — each made by an artisan whose practice has been affected by war — ISHKAR hope to provide a window onto countries known for their rich culture long before they were known for war. ISHKAR: Our Story from ISHKAR on Vimeo. Veja Trainers — “The coolest sustainable sneakers we’ve ever seen” said Wired. Apart from the fact everybody wants this trainer it is made using a better supply chain and more sustainable materials than its competitors. Brands are increasingly being held to account by their customers who want all the style and none of their ugly secrets. 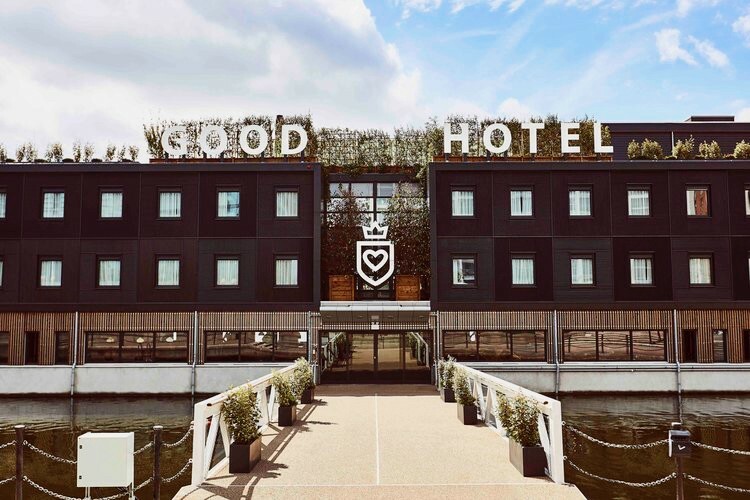 Good Hotel London — train and employ local unemployed people. A friend stayed recently and simply said their staff were amazing. They use local resources and ingredients in the hotel. There is an education programme in Guatemala for low income families. The hotel is simple to keep prices low, without scrimping on the design. Yoga 3 times a week on the roof. The hotel floats in the water at the docklands, Royal Victoria. They have a sign in the restaurant/lobby that says ‘Create Beauty. Do Good’. Modern House — Have you ever sold a house? You wonder what estate agents are for. “The Modern House, founded in 2005 by Albert Hill and Matt Gibberd, prides itself on a very different approach to most estate agents. You will never have seen its shops on the high street, because there aren’t any. Since the beginning, it has been online only. It specialises in properties it decides are architecturally arresting or allow living ‘in a modern way’. The Modern House is predicated on the idea that many estate agents fundamentally do not understand design and lifestyle. Dementia village — De Hogeweyk or Hogewey is a gated model village setting in Weesp in the Netherlands, created in 2009. It has been designed specifically as a pioneering care facility for elderly people with dementia. Here you do what you did, lived a life, whatever that looked like, as normally as can be possible, whilst cared for by trained staff 24/7. People (patients — still people) move around and interact with the world, they consequently require less medication. There are ugly ways of solving a complex challenge such as dementia and a beautiful way — it just requires compassion. Hope in the Woods — Luke Hope is most definitely someone that makes things beautifully. He truly is a craftsman. And as much as a someone might be interested in code, UX, all things digital. Luke has much to teach us about experience. Hold one of his spoons and be changed forever. 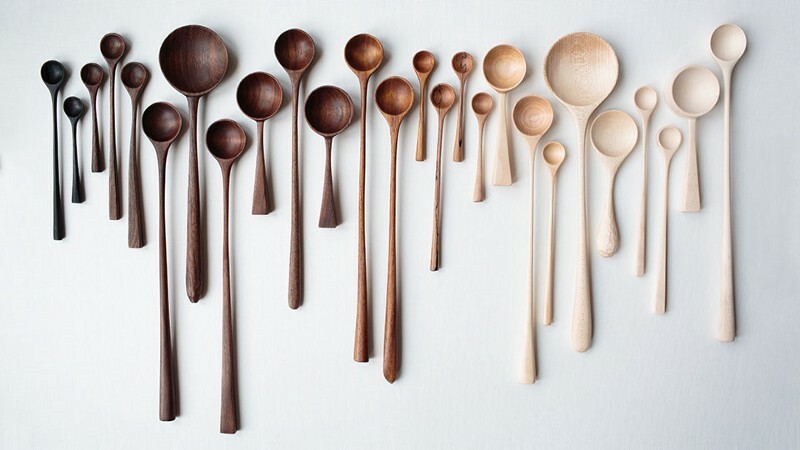 Luke Hope is not your average spoon carver. His pieces are, frankly, small works of art; each so delicate and perfectly made that I always catch my breath when I see them. Love the work you do. Folkhem — Housing only built from wood. Those clever Swedes have a way to make beauty scale. Folkhem has the World’s First EPD-Certified Building. Environmental Product Declaration (EPD®) is an independently verified and registered document that communicates transparent and comparable information about the life-cycle environmental impact of products. 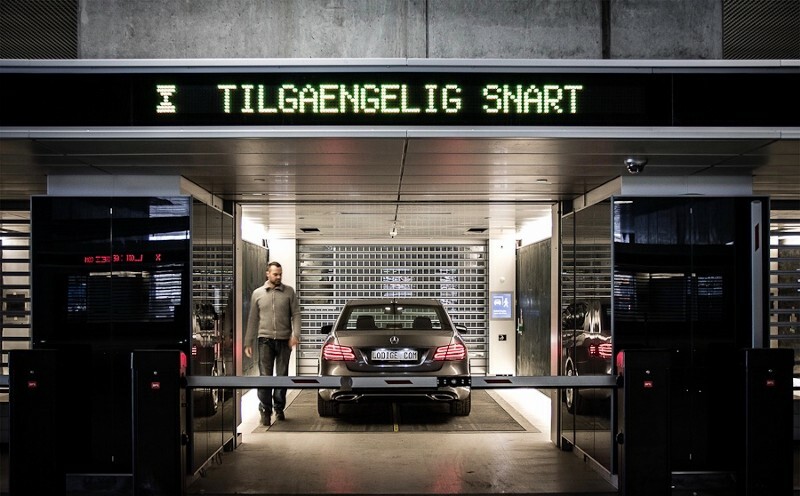 Fully automated multi-story car park Århus Denmark by Lödige Industries How do you beautifully solve a complex problem of city parking? Is this an example of beautiful AI at work? 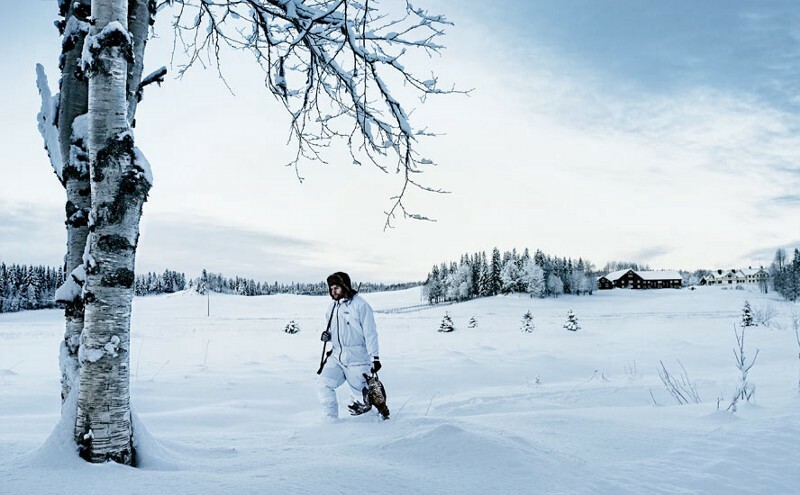 Faviken, run by Magnus Nilsson, is a 12-seater restaurant on a remote 24,000-acre hunting estate in Jämtland, northwestern Sweden, more than 600km north of Stockholm. Considered one of the most innovative restaurants in the world. All its produce, is grown, culled, harvested, foraged within its locale. The shift to the current Faviken philosophy was slow. “In the beginning we worked with all kinds of produce from all over the world,” Magnus says. “But as we sourced more and more from the region, the need to order in became smaller. You don’t need a delivery for three lemons.” Limitations says Nilsson engenders creativity. 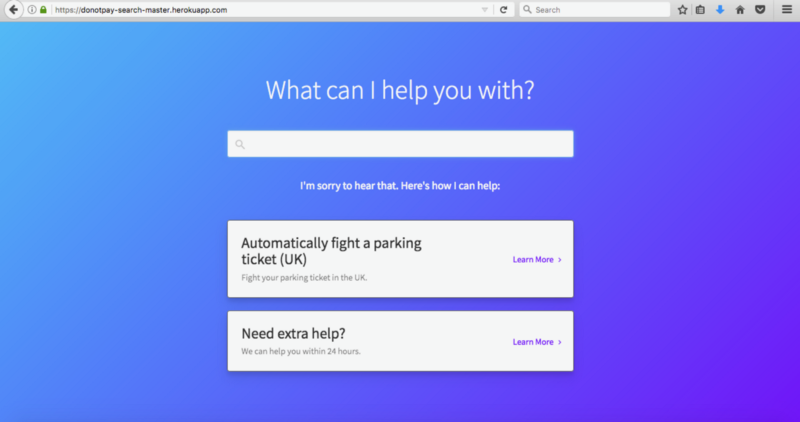 DoNotPay — has been created by British student Joshua Browder who is based at Stanford University. You might call it a legal chatbot — an automated service that provides free legal advice on a number of routine issues. With parking tickets it claims to have a 55%+ success rate. Do Not Pay now claims to cover upwards of 1,000 different legal issues (from tackling disputes with a landlord to what to do if your credit card is stolen, how to deal with unwanted cold calls, contest insurance claims, extend maternity leave or deal with harassment at work). Automation can be beautiful. San Marzano — Wine. I love wine, you might really call it more a love affair. San Marzano makes delicious wine, reds and whites. I prefer the reds. 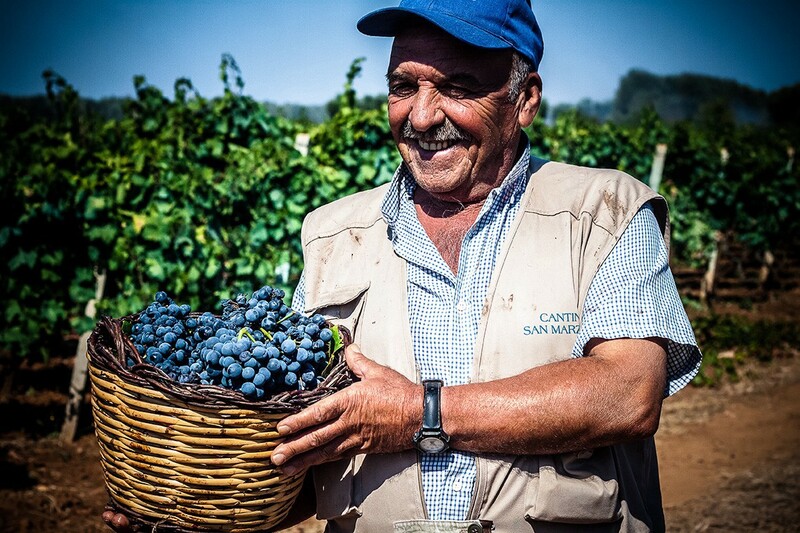 Open a bottle of their Primitivo and taste the Italian sun, the care and attention that says, quality, quality of care, quality in time given, quality in the experience. For special celebrations drink Anniversario 62 Primitivo di Manduria DOP Riserva you wont be disappointed. Memories are made of moments. San Marzano is also run as a collective business, everyone shares in the rewards. Naadam — A startup selling cashmere clothing in New York getting a lot of attention. Naadam is the result of a 28-year-old former finance analyst going out to the Mongolian desert in June 2015 with £1.6m in cash and loading a Toyota pickup truck with 100 tonnes of cashmere, bought directly from the herders and farmers. Organic credentials as well as ‘supply chain’ as a consumer story. The Naadam Cashmere Origin Story from Alex Gorosh on Vimeo. Falcon Coffee — source green coffee from eighteen producing countries, and work with coffee roasting companies all over the world. Last year, they spent $95 million dollars buying coffee from rural farming communities in some of the poorest economies in the world. The way they do this is unique. Coffee Farming in Rwanda from What Took You So Long? on Vimeo. 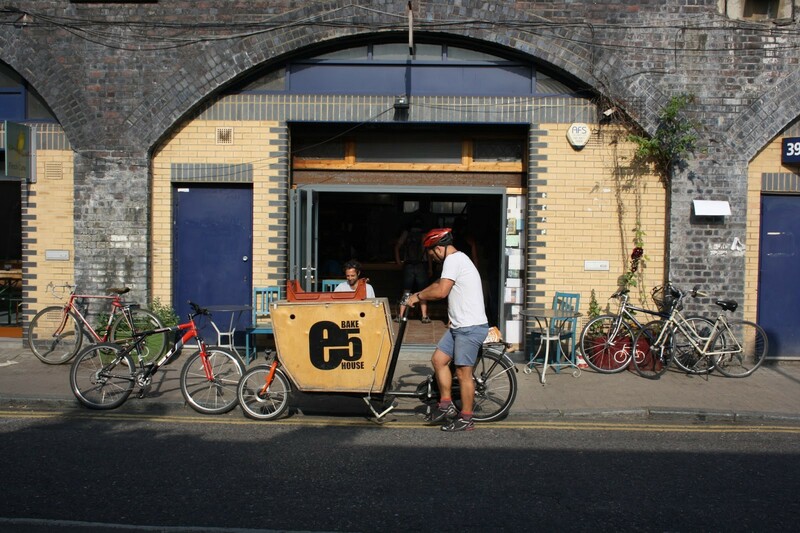 E5 Bakehouse — The E5 Bakehouse is an East London artisan bakery and coffee shop has a simple mission. They are passionate about sourdough and the lost traditions of our baking ancestors. E5 use organic, locally-sourced ingredients, serving delicious, daily-baked breads, fresh lunches, homemade cakes and coffee. Their head bakers also share their knowledge and expertise though courses and workshops. Do say, ‘tell me more about, Hackney Wild, Stockholm, Spelt and all the other wonderful ways you make Sourdough’, ‘support refugee training’. Don’t say, ‘where is the Sunblest?’ or where is the nearest Costa Coffee? HIUT DENIM — Cardigan Bay sits on the very western edge of Wales. It is here that founders Clare and David Hieatt have set up Hiut Denim. Why are they great? Because they are focused on every detail, mastery is everything, which is not a science its a practice. 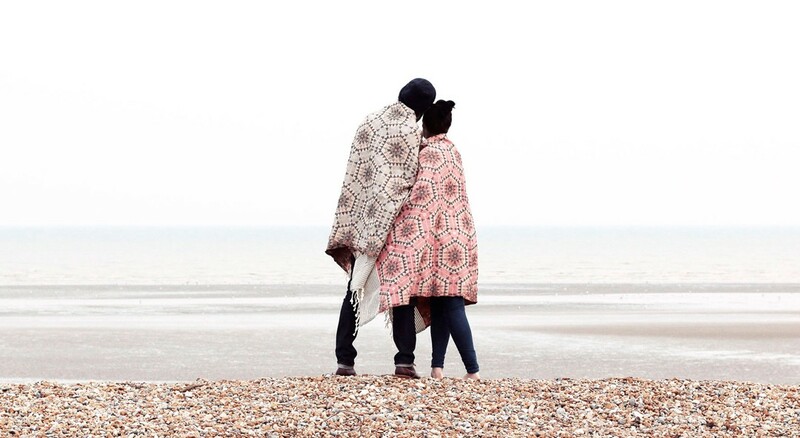 This is a story about love, purpose, people, perseverance, quality, design, materials, optimism and Poppitt Sands. CTRLiO — It sounds simple, saving money on your utilities. Not very exciting. But done right each household in the UK could save £2000 per year. But there are dark arts in the money saving world, which frankly don’t save you money. So CTRLiO decided to change all of that by designing a way in which people could share their data without selling it to a third party. Which is the way all free online social media and comparison sites make their money. Can they scale? Yes they can. Behind every digital project is a human being, and behind every digital interaction is a human being. 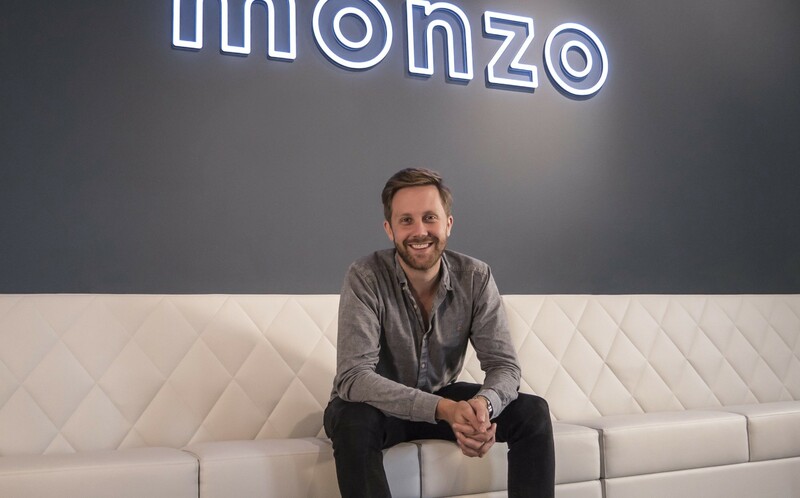 Monzo — A bank that is the “control hub” for all your financial arrangements, from savings to spending, from current accounts to utilities. It has a waiting list. Outstanding service, that turns its customers in evangelists, designed and built for today’s world. It has a waiting list and aims for 1 billion very satisfied customers. Pole and Hunt — make knives. Really beautiful knives. I met the guys at the London Design Fair this year. Based in Somerset their knives are unique in that all the materials are sourced from within the UK, and are made entirely in house. H&P are currently using apple wood from storm damaged trees found in the orchard next to the forge. I have held these knives in my hands there are a thing to behold. The Michelangelo Foundation for Creativity and Craftsmanship — is an international non-profit entity that celebrates and preserves master craftsmanship and strengthens its connection to the world of design and making. We need more makers. 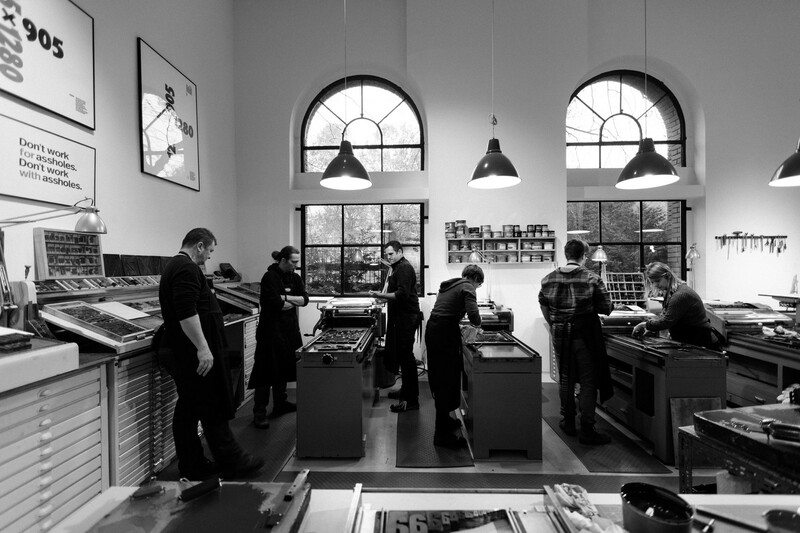 P98a — is a letterpress company, that makes extraordinary beautiful books, posters and any artefact that is printed on paper. But done to the highest degrees of skill, and craftsmanship where common objects are born not made, that become work of uncommon grace. I know that books are more than aesthetics, because they carry ideas like the King James Bible, the first to be written and printed in the common English vernacular they release; ideas, knowledge, insight, philosophies into this world. And books still have a role to play. So if you are going to make something why not make it with love and craft it into a thing of beauty? Ginger Pig — Butchers. 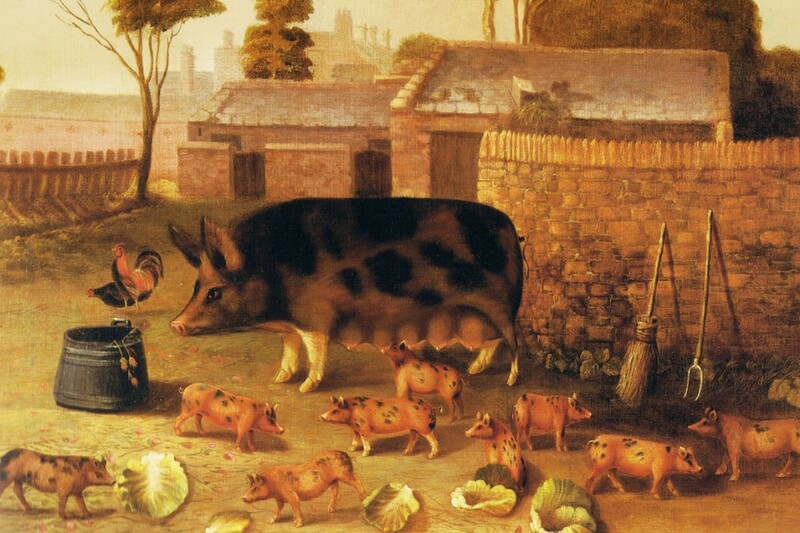 The Ginger Pig began over 20 years ago, with a near-derelict farmhouse and three Tamworth pigs. Tim Wilson the farmer now farms over 3,000 acres of their own pasture and North Yorkshire moorland, working with a small network of like-minded farmers to supply their London butchers’ shops. At the heart of everything they do is good animal husbandry and welfare; livestock that is looked after well in the field will simply taste better on the plate. They also run butchery classes. The Gardens of Piet Oudolf — Gardens are restorative. Beautiful gardens are made and tended with love. In many ways they are such a beautiful metaphor for selfless giving and what one receives in return, Enduring satisfaction. Piet Oudolf asks questions about what is beauty, can we find it even in the ugly? Is there beauty even in death? There is poetry to his words, he is also someone that designs gardens which are all about experience through the 4 seasons. What an inspiration. The National Trust — The National Trust is in the business of safeguarding our natural world, fights for policy that protects our rivers, forests, landscapes and coastlines and encourages people to get out into nature to restore themselves. That is a beautiful purpose to me. I got the chance to spend time with Fiona Reynolds Director General of The National Trust, now Master of Emmanuel College University of Cambridge. Her book is called The Fight For Beauty. 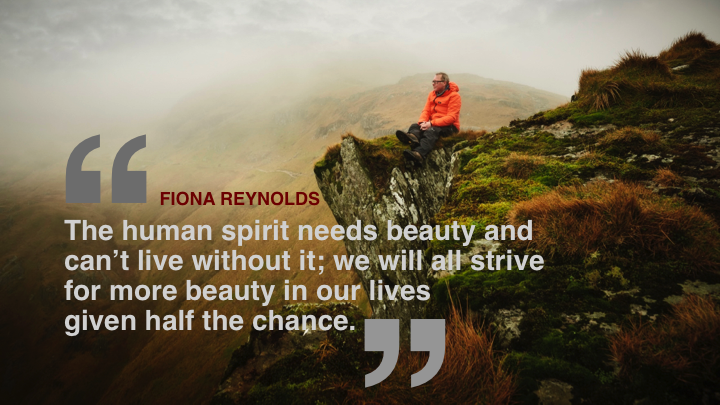 Watch the interview with Fiona. 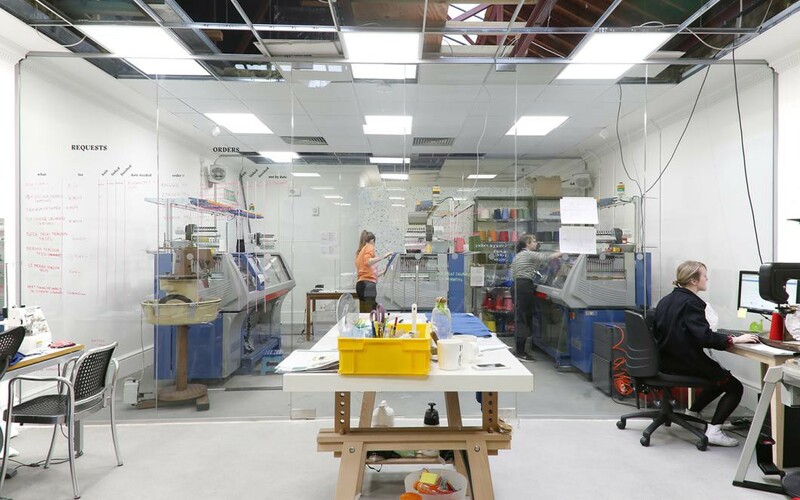 Unmade — Unmade is a fashion technology business, started in 2013 by Hal Watts, Kirsty Emery and Ben Alun-Jones. In 2014 they initially launched a prototype brand as Knyttan. Individual tailored apparel for you without the waste. This is mass-customisation that scales. December last year Unmade made a deal with premium cycling brand Rapha. BioCarbon Engineering, a UK-based company backed by drone manufacturer Parrot, has come up with a method of planting trees quickly and cheaply. Not only that, trees can also be planted in areas that are difficult to access or otherwise unviable. We are chopping down about 15 billion trees a year and planting about 9 billion. So there’s a net loss of 6 billion trees a year. QBot — Installing energy efficient underfloor insulation, safely with quasi-autonomous robot technology. 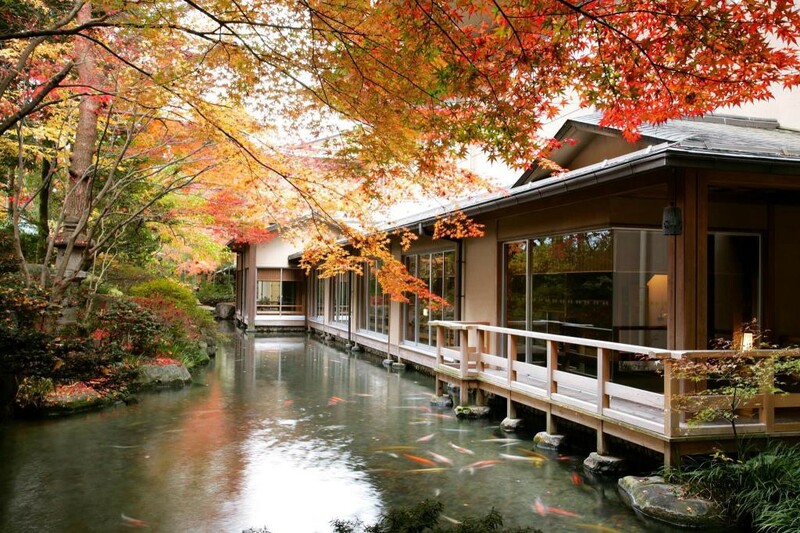 Ryokan Hotels — are tied intrinsically into the culture’s deep respect for omotenashi (hospitality), ryokans tend to be soothingly silent and infused with the Japanese philosophy of Zen, whether through hushed halls, the precision of architecture or the sublime simplicity of the food they serve. They’re intimate and minimalist. Many ryokans house a hot spring onsen, a traditional bath, and are usually all-inclusive; a highlight is the multi-course kaiseki meals that revolve around local fish and foraged ingredients. Not all wonderful things are new. M-Kopa Solar — pay-as-you-go solar power model has connected 500,000 homes. 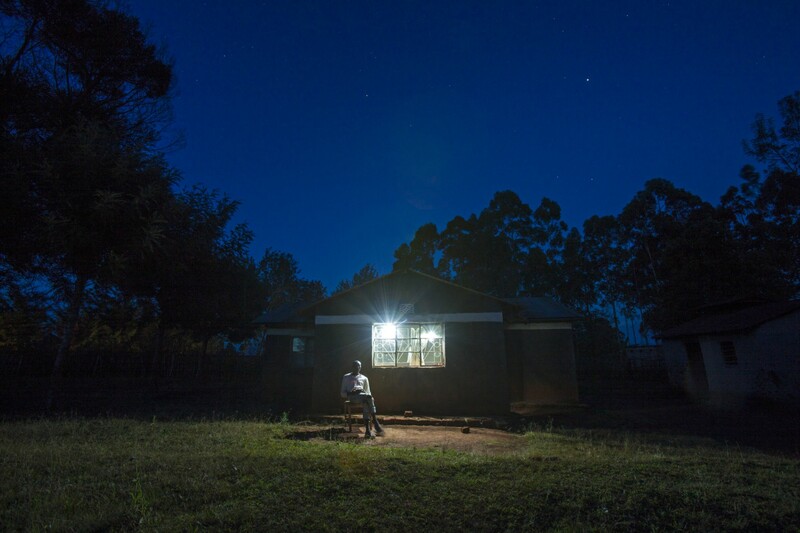 The largest off-grid solar operator in sub-Saharan Africa, it offers clean power to consumers in Kenya, Uganda, and Tanzania for a daily fee. It connected its 500,000th home this spring. We all need light after darkness.